NEW LONDON, Conn. — The Coast Guard Academy in New London honored its first African-American graduate on April 1st with a new award that is named after him. The Day newspaper of New London reports that CDR Merle James Smith Jr., USCG (Ret.) received the inaugural Merle J. Smith Pioneer Award at the Academy on Sunday, April 1st. The 67-year-old Mystic resident graduated in the Academy Class of 1966 and served 23 years of regular and reserve active duty in the Coast Guard. CDR Smith was the first Black cadet to be admitted to the United States Coast Guard Academy. The Academy was founded in 1876. This recognition is well deserved and long overdue. Honoring the first Black graduate honors all Black graduates. The Academy was founded in 1876. The exclusion of African Americans from the Academy from 1876 until 1962 is a tragic fact of American history. The meager resources allotted to Black recruitment is just as tragic. CDR Smith was the first Black cadet to be admitted to the United States Coast Guard Academy. He was not an Affirmative Action cadet. He was not appointed in direct response to President Kennedy’s directive to find qualified Black high school graduates for the Academy. The Academy was not aware at first that there was an African American cadet at the Academy. He had not been recruited as a “Black cadet”; nor, was he recognized as one by the Coast Guard Academy Admission’s Office. He was not recognized as an African American because he did not physically resemble one. None of his school records labeled him as Black, and he had not been recruited as a minority candidate. When Black spectators came to watch the entire corps of cadets march in parade, they frequently mistook Anthony Carbone and Donnie Winchester as the possible Black cadet. Carbone was an Italian, and Winchester was a Native American. They both were considerably darker than Merle Smith. CDR Smith’s appointment had been tendered before President Kennedy issued the directive to find and appoint Black candidates for the Coast Guard Academy. His father, Colonel Merle Smith , Senior, was the Professor of Military Science at Morgan State College in Baltimore, Maryland; and, he had formerly been an Army Staff officer at the Pentagon. The only two Black cadets to have been recruited under President John F. Kennedy’s Directive were London Steverson and Kenneth Boyd. they both entered the Academy in 1964 and graduated in 1968. CDR Smith is a 1974 graduate of the National Law Center at George Washington University, Washington, DC. He attended law school while serving in the Coast Guard. He became a Coast Guard Law Specialist. After graduating, his Coast Guard career took him to Vietnam in 1969, where he commanded a patrol boat for a year. He became the first sea-service African-American to be awarded a Bronze Star. After receiving his law degree from George Washington University in 1974 he became a Coast Guard Law Specialist. Later, he returned to the New London, CT area to work as an attorney for Electric Boat, the Groton-based submarine builder. It was after retiring from active duty in the Coast Guard, he became an adjunct law professor at the Coast Guard Academy. In 2006 while teaching law at the Academy CDR Smith was retained as the Individual Military Counsel for Cadet Webster Smith who became the first Coast Guard Academy cadet to be court-martial in the history of the Coast Guard Academy. CDR Smith is no relation to Cadet Webster Smith. Cadet Webster Smith was detailed a Navy Judge Advocate Ggeneral (JAG) officer as his detailed military counsel. The Individual Military counsel is the lead counsel. He is a civilian and he is in charge of the defense team. CDR Smith received a Pioneer Award. What does that mean? A “Pioneer” is a person who is among those who first enter or settle a region, thus opening it for occupation and development by others. What was the criteria for selection? Who was on the Selection Committee? Was there anyone else in contention? Will there be subsequent recipients? How many times can one do something for the first time? The Award could have been called the Trailblazer Award. Trailblazer is a synonym for Pioneer. The term trailblazer signifies those who strike out on a new path or break new ground, either literally or symbolically, using skills of innovation or brave constitutions to conduct their lives off the beaten path. Often known for independent thought, rugged individualism and pioneering ways, trailblazers throughout history have included cutting-edge inventors, explorers and healers. Trailblazers throughout history all have shared an innovative spirit that kept them going when told their endeavors would be fruitless or against impossible odds. All have made their mark on history and mankind by refusing to quit and pushing ahead, most often into uncharted territory. When Merle James Smith entered the Coast Guard Academy in June 1962 he was sailing into uncharted waters. He had no chart, compass or navigator; yet, he reached his destination. Minority recruitment remains an area that the Academy alleges is the impossible dream. Thirty-three percent of Coast Guard cadets are female; one out of three cadets is a female. The first female classes produced several flag rank officers. We have a plethora of female admirals. 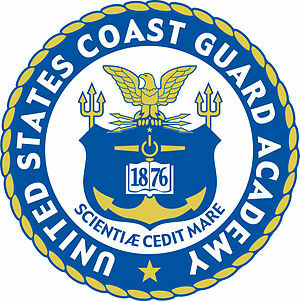 In February, 1976 the Coast Guard Academy announced the appointments of female cadets to enter with the Class of 1980. Fourteen women graduate as part of the Academy’s Class of 1980. In 1991 a Women’s Advisory Council was established. In 2000 the Coast Guard promoted its first female officer to Rear Admiral. She was Captain Vivien S. Crea. She was not an Academy graduate. In 2009 CAPT Sandra L. Stosz was promoted to Rear Admiral, becoming the first female graduate of the Coast Guard Academy to reach flag rank. The Coast Guard was the first to select a woman superintendent of a military service academy. Rear Adm. Sandra L. Stosz, Coast Guard Director of Reserve and Leadership, was selected as Superintendent of the Academy. Rear Admiral Stosz graduated from the Coast Guard Academy in the Class of 1982. In 2008 the Academy hosted a free, public Women’s Equality Day information fair on August 26 in Munro Hall at the Academy. Each year since 1971, when President Jimmy Carter designated August 26 as Women’s Equality Day, the United States has recognized the struggle for equal rights for women. The Coast Guard Academy celebrates the event with the theme “Strengthening Our Communities” by hosting various Coast Guard and regional community groups on campus. “This was billed as a great opportunity for members of our Coast Guard and surrounding New London community to network and learn from the organizations that help support and strengthen Academy leadership,” said LTJG Colleen Jones, Assistant Civil Rights Officer at the Academy and the event organizer. The various organizations in attendance were the Greater New Haven National Organization of Women, the General Federation of Women’s Clubs of Connecticut, National Naval Officers Association, Academy Women, Toastmasters, CG Educational Services, CG Child Development Center, and the League of Women Voters.